When you begin your job search, you’ll ask yourself and the companies you’re interviewing in numerous questions. You’ll wonder about salary requirements, you’ll painstakingly review job descriptions, you might have the opportunity to peruse org charts and job descriptions of your potential direct reports, read everything you can about the company on their website and online…but are you missing a big piece of the puzzle? None of these things (seriously, none of them!) can accurately convey corporate culture. Yet corporate culture is often the thing that makes us want to stay or go in a company. So why don’t we spend more time learning about it in the interview process? Because, frankly, it’s a darn hard thing to learn. One of my favorite writers over at Harvard Business Review, Bill Barnett, recently published the article, “When Choosing a Job, Culture Matters.” In it, he outlines the important things you need to learn about culture during an interview, how to learn these things, and specifically when in the process you should be looking at culture in depth. Once you’ve followed Bill’s process, though, you’ll need to be able to effectively define and decode some of the corporate culture “buzz words” you’re likely to hear. Here are a few I’ve been personally acquainted with. High performance work environment. I thought this just meant high accountability, hard working people. What it really means? High performance means working all the time, any time, no matter the day or the hour. Beware this one. Bandwidth. This is a big one. If someone says, “We hope to do that in the future, but don’t have the bandwidth today,” what you should hear is, “We have too few hands doing too many jobs.” This isn’t necessarily a bad thing, but know what you’re getting into. Leverage. This is a pretty new buzz word in the corporate community, usually aimed at lower level employees and “leveraging knowledge” or “leveraging experience.” In the best case scenario, it’s mentorship and sponsorship outlined specifically within a corporation. In the worst case scenario, though, it means constant expectations of new responsibilities at the bottom of the org chart, something that can lead to low morale and mistakes made all too often. Turnover. If you’ve interviewed with 5 people and none of them have been with the company more than a year or two, RUN! Or at least spend some major time inquiring as to the reasons the company has done so much hiring or had so much turnover recently. 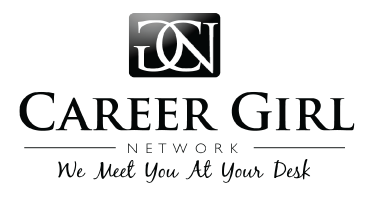 What are some corporate culture buzz words you can decode for Career Girl Network’s readers?